Two games into the 2018 season and I'm still not quite sure what to make of the Dallas Cowboys offense. To me, there is a void of playmakers on the offensive side of the ball. With the exception of Ezekiel Elliott and maybe Cole Beasley, there is a lack of consistency that is really hurting this offensive unit. Changes need to be made or someone needs to step up in a hurry. Enter Wide Receiver/Running Back Tavon Austin. Just looking at Tavon Austin you would probably put him in the category with Cole Beasley, a small/diminutive WR who should strictly be playing out of the slot. That's typically where the smaller WRs get placed in the NFL because teams would like you to believe that due to their diminutive stature, they can't succeed on the outside. Well, guess what? The passing game is changing around the league and we're starting to see more of these smaller/quicker WRs earn more prominent roles. The reasoning is these types of receivers are generally known to be better route runners, who are more capable of creating separation on their own. The Dallas Cowboys must be buying into this philosophy because during the offseason they pretty much revamped the entire wide receiver position with that thought at least in the back of their minds. They didn't bring in a lot of "undersized" WRs, but they did focus on adding pass catchers who can run better routes and create separation on their own. Wide Receiver Tavon Austin is one of those pass catchers Dallas brought in to improve their passing game. Austin really hasn't been utilized as much as I thought he would in the first two games, but he is starting to look like a dynamic weapon the Cowboys can't ignore much longer. 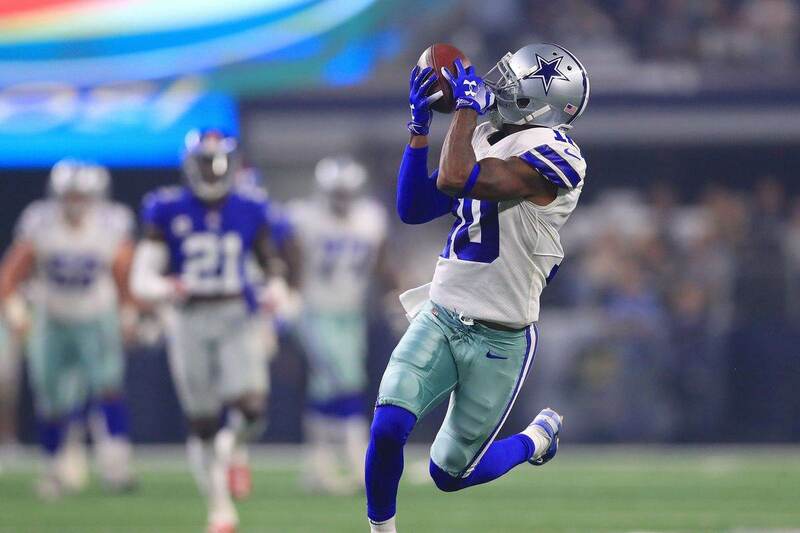 Last Sunday night against the New York Giants, the Dallas Cowboys finally decided to utilize Tavon Austin's speed in the passing game. The result, a 64 yard touchdown pass from Quarterback Dak Prescott. Austin's speed to stretch the field both vertically and horizontally is something the Dallas Cowboys need to incorporate more of into their offensive game plan. Forcing opposing defenses to have to cover more of the field should create more opportunities for big plays in both the running and passing game. Stretching the field vertically with Austin's speed will open up things up underneath in the passing game. It takes at least one, possibly two defenders out of the play, leaving nine to defend against 10 Cowboys offensive players. That benefits Ezekiel Elliott in the running game and the other WRs running those underneath routes. Stretching the field horizontally mostly helps the running game, which is great news when you have a dynamic running back like Zeke. Utilizing Austin's speed on jet sweeps or reverses forces the edge defenders from crashing down on inside runs. It also forces the linebackers to hesitate more because they have to respect the threat of both an inside or outside run. Against the Giants, Tavon Austin turned three touches into 94 total yards, two receptions for 79 receiving yards and one rushing attempt for 15 yards. Imagine if the Cowboys were to give him about 10 touches a game. It seems like such a simple thing, but I think it could have a huge impact (for the better) for the entire offense. Do you think the Dallas Cowboys need to get Tavon Austin more involved?